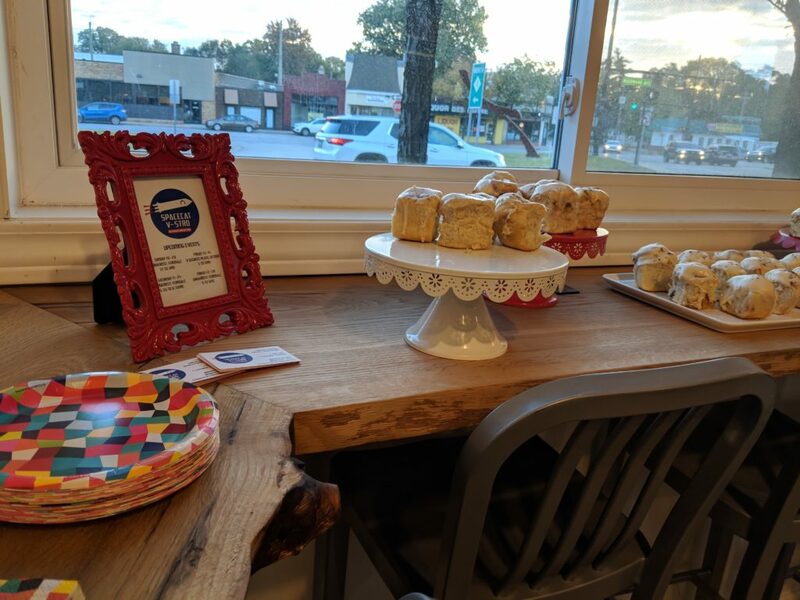 The Woodward View is feature coworking space at the PatchWork Collective, available to all our members and drop-in guests during normal business hours. 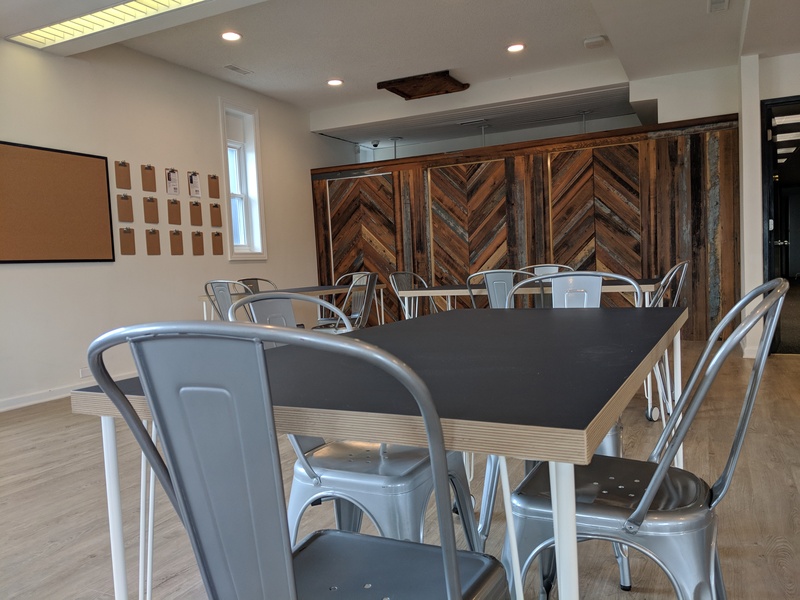 During evenings and weekends, this room can be rented as a private event space for your business meetup, or social event. We can even host a small wedding. Special event reservation pricing varies based on your time, date, and event. Schedule a tour to meet with a facility manager and receive a quote. The Woodward View is the jewel of the PatchWork Collective. This is the room that most closely connects to the heart of Ferndale. We have installed a custom, live-edge wrap-around bar, and a beautiful barn-wood wall, which give this room a spirit all its own. The space also includes a relaxed lounge space, and three private booths with fold-down tables. The facility has direct access to an ADA compliant restroom with customizable chalkboard wall. Caterers and hosts can use the adjoining break room, with sink, refrigerator, and microwave to prepare meals and clean up when the event is over. Event hosts can request customized layouts and can add amenities, including coffee, tea, and water service, a projector, or easy-to-use Bluetooth speaker system. You can reserve the Woodward View for an evening, or during weekend daytime hours. For larger events, we also offer an add-on space, The SideCar, which can be used for catering needs, a breakout room, or even a bridal preparation suite. Evening hours are flat rates, so your guests don’t feel hurried out at last call, and you’re not stuck watching the clock. Schedule a tour or contact us for pricing.